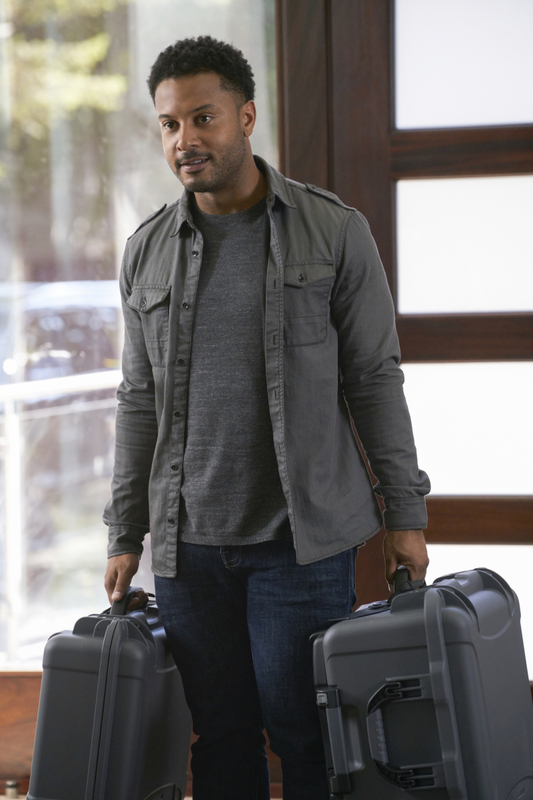 Brandon Jay McLaren is one of the cast members of the new CBS procedural Ransom which airs every Saturday night at 8/7c. The series has already made its mark for the network. Brandon is a native of Vancouver, Canada and attended the Johnston Heights Secondary School in Surrey, British Columbia, Canada where he studied Drama for five years. He received a soccer scholarship and attended the University of New York in Albany and continued to study acting. McLaren should be no stranger to fans of film and television. He has built an impressive resume of work and continues to be one of the most sought after actors in the business. He appeared as a Power Ranger in the series Power Rangers S.P.D. His television credits also include The Killing, Harper’s Island, Being Erica, The Killing, Slasher and Graceland. On the big screen, he’s appeared in films such as She’s the Man and Love Happens. Today, we sit down with Brandon to talk about his new series Ransom, what it was like meeting the man the series is based on and how the team deals with staying within the law to get the job done. Pop Culture Principle - What was it about the script that made you want to sign on to this particular project? Brandon Jay McLaren – You know, I think what attracted me most first of all is that the show is based on a real guy. We got to meet him in France multiple times and he’s just amazing. He has a team like ours in France and they do pretty much what we do in the show. Anytime you get to mirror something that happens in real life, I feel that’s a tremendous opportunity. Also, coupled with that, it is a procedural in the traditional sense, but there are longer character arcs which interested me. I am use to doing more cable, character type stuff, so my initial hesitation at doing a procedural was quelled by the fact that there are some character arcs in the show. So, those two things are what made me want to be a part of this project. Pop Culture Principle – The show is based on French negotiator named Laurent Combalbert. Did you get to ask questions and pick his brain about what he does? Brandon Jay McLaren – We had multiple dinners with him and he came to set a couple of times, so we got a chance to pick his brain a lot. The type of work they do and the stories that they have, lives are on the line all the time and stakes are always high and you always have to be on point. If I remember correctly, one of the times we met him, he had to leave because a negotiation had just come up and he had to go leave and handle that situation. So, it’s really fascinating and they do really amazing work. Pop Culture Principle – Can you tell us about the basic premise of Ransom? 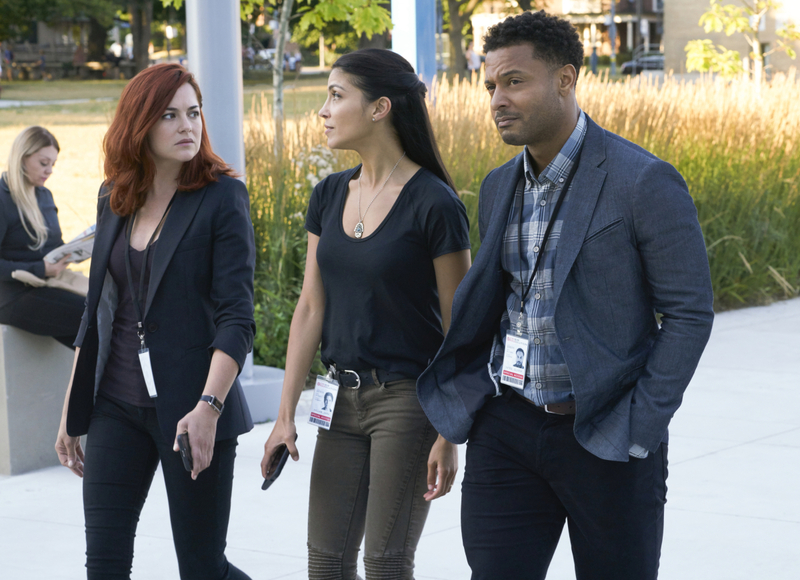 Brandon Jay McLaren – Ransom is about this group of four who have a private firm called Crisis Resolution. Essentially what happens is that we go to different cities in North America and Europe every week and deal with really high stakes hostage negotiations, kidnappings, extortions and so on and so forth. Typically, what happens when the police, FBI and the CIA gets to the end of their rope, they call us in for the really tough cases or the cases they don’t want the media to know about. What’s interesting about us is that we work independently, so when they call us in, they have to agree to work the way we work which is no guns and no violence. All we are interested in is no loss of life. We aren’t interested in catching bad guys or putting people in jail. We just want everybody to walk away and nobody dying. That is always our primary focus when dealing with these negotiations. Pop Culture Principle – What can you tell us about your character Oliver Yates? 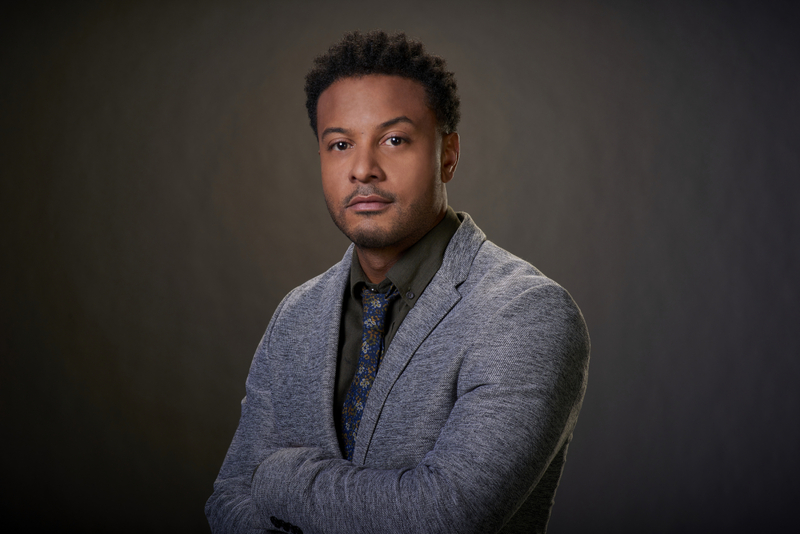 Brandon Jay McLaren – Oliver plays the psychological profiler of the group which means that my job is to assess the mental state and tendencies of the hostage taker, gather up all the information and from there we can sort of decide from which angle to approach the situation. Pop Culture Principle – Did you talk with the creators and producers of the series about your character and did you have any input? Brandon Jay McLaren – I was the last person to get cast for the series. It kind of all came together very last minute. I found out I got the job and then I was on a plane the next day and shooting three days later. I tried to get as much information from Frank Spotnitz as possible and the great thing about him is that he let me infuse my own tendencies into the character because I think on the page as it was written, I don’t think that they were thinking of me as the character. So, they let me take some liberties in terms of his edge and also his humor. They let me run with the character which I really appreciate. Pop Culture Principle – What has it been like working with Ransom’s creator Frank Spotnitz? Brandon Jay McLaren – He is just so on the level and it was a real treat to work with him. You really feel like you are collaborating with him. It’s not so much as he is your boss, but that we are all working together. Pop Culture Principle – In the first episode, we see Sarah Greene’s character go over Oliver’s head to try and land a job with the team, which Oliver didn’t appreciate. Will this be something that continues throughout the season? Brandon Jay McLaren – Yes, absolutely. Oliver doesn’t trust her and it really upset and bothered him that for the first time, Eric didn’t take his advice. Oliver gives her a hard time and it’s a learning curve for her and he wants to make sure that she is tough enough to hack it and earns her stripes. Pop Culture Principle – The series boasts an amazing cast including Sarah Greene, Luke Roberts and Nazneen Contractor. How have you enjoyed working with the cast? Brandon Jay McLaren – It was really great. The nature of this show is that we are together a lot in a lot of scenes, so we have to spend a lot of time together. Everyone is so great and we really do get along on set and I think that transfers to the screen and the audience. Pop Culture Principle – We learn a little bit about each member of the team in the first episode. Will we get more backstory for your character as the season continues? Brandon Jay McLaren – Yes, you are going to get into my backstory a little bit with an interesting twist that you won’t see coming. It gives you some insight into Oliver’s character in that there is a lot more there than one would imagine just by meeting him once or twice. Those are the little things that the audience is going to like and if we get a second season, we can kind of go deeper into these characters. There is a lot of information and every episode there is a huge hostage case, so it’s hard to get into everybody’s backstory, but the writers do a great job. Pop Culture Principle – It seems that this team would have to work outside the law sometimes to get the job done. Do you agree they need to live in the ‘grey’ area sometimes to get the job done? Brandon Jay McLaren – That is always the challenge. How do we stay within the boundaries of the law and still get the job done? The interesting thing about this show and sort of what we do is most of the time, the person who is asking for two million dollars really doesn’t want two million dollars. Usually, it’s something else that they are after whether it’s validation, recognition or an apology. So, our job is to use everything in our power to get to the real core of what they really want so we can serve that and hopefully defuse the situation. Pop Culture Principle – We find out at the end of the pilot that Eric is responsible for the death of Maxine’s mother. How do you think this will affect not only the relationship between Maxine and Eric, but also the relationship with the rest of the team? Brandon Jay McLaren – This is initially why Oliver was so against her joining the team. She brings emotion to the team and when you are dealing with these negotiations, emotions are the last thing you want to have introduced into your decision making. You want to stay clear, focused and as logical as possible. So, that is going to play into the rest of the season in a massive way. Also, as time goes on, the challenge is how the four of us are going to be able to exist with one another and do the job effectively. Something usually has to give at some point. Either we are going to break up to do the job or we stay together and the jobs not going to get done. So, that is sort of what the first season is ultimately about. Pop Culture Principle – What do you think separates Ransom from other similar shows? Brandon Jay McLaren – There are a couple of things I think. First of all, this whole notion of non-violence. The fact that we don’t carry guns and that we don’t come in, knock down doors and shoot the place up and that is a really different take on your standard procedural. Second, the fact that every episode we are in a different city. So, just aesthetically, the show is going to be really interesting because we are going to be hopping around all over the world and that’s going to really show on the screen and that will add a lot of value for the viewer. 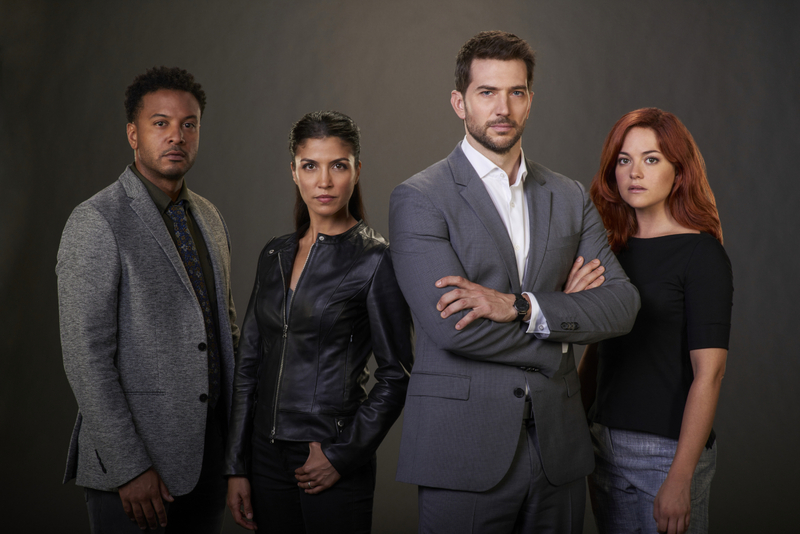 Pop Culture Principle – What can fans look forward to with the first season of Ransom? Brandon Jay McLaren – I will tell you this. Every relationship will be strained and tested to the limit. We would like to thank Brandon for taking time to talk about his new series Ransom. You can catch new episodes of Ransom every Saturday night at 8/7c only on CBS. If you would like to keep up with all of Brandon's latest news and projects, you can follow him on Twitter @brandojay or like his official Facebook page here.